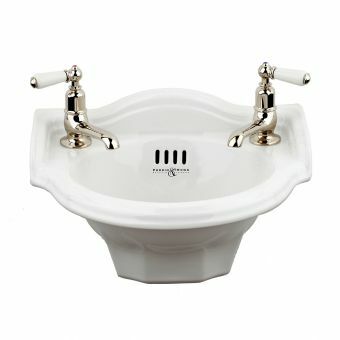 The Sarah Georgian basin and worktop by Burlington is an undermounted bowl with a flat top Carrara marble slab worktop, a stylish curving splashback and 2 upstands to the left and right of the worktop to contain splashing water but also add a strong traditional element to the basin and worktop, giving an authentic authority to the piece. 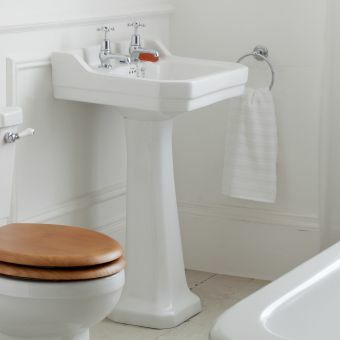 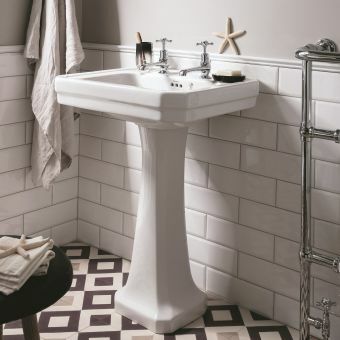 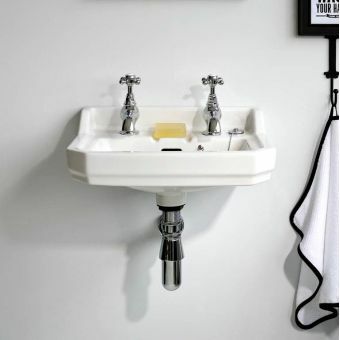 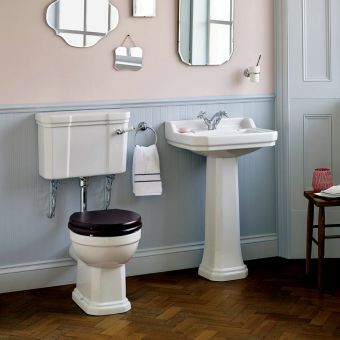 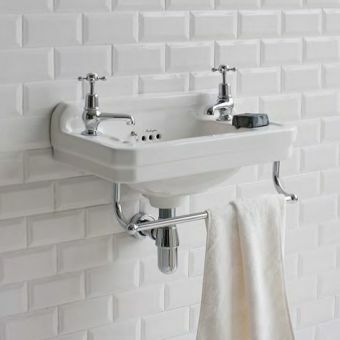 A beautiful Bathroom Sink console unit, it is ideal for lovers of classic British design this washstand and basin combination will form the centrepiece of your washroom. 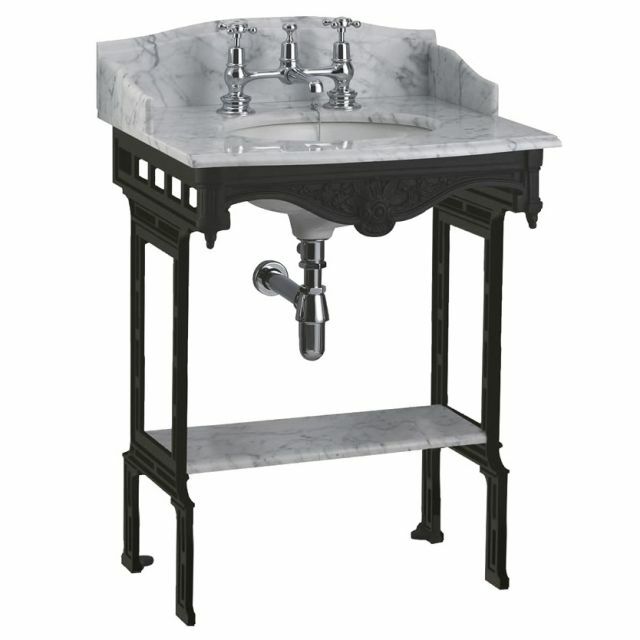 The sturdy aluminium washstand has a lovely floral decorative design on the front in a 3D form for tactility. 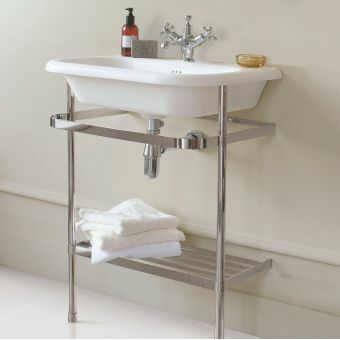 The workmanship is of a high standard and reliability is at the heart of its design with 4 sturdy legs supported with floor fixings which are included. 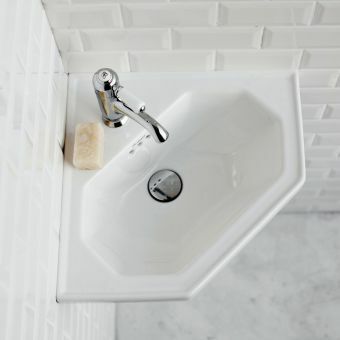 The washbowl is pre-fitted in the factory for a completely watertight, tough and durable seal.